Sunraysia Solar Farm 255MWDC utility-scale solar PV project. 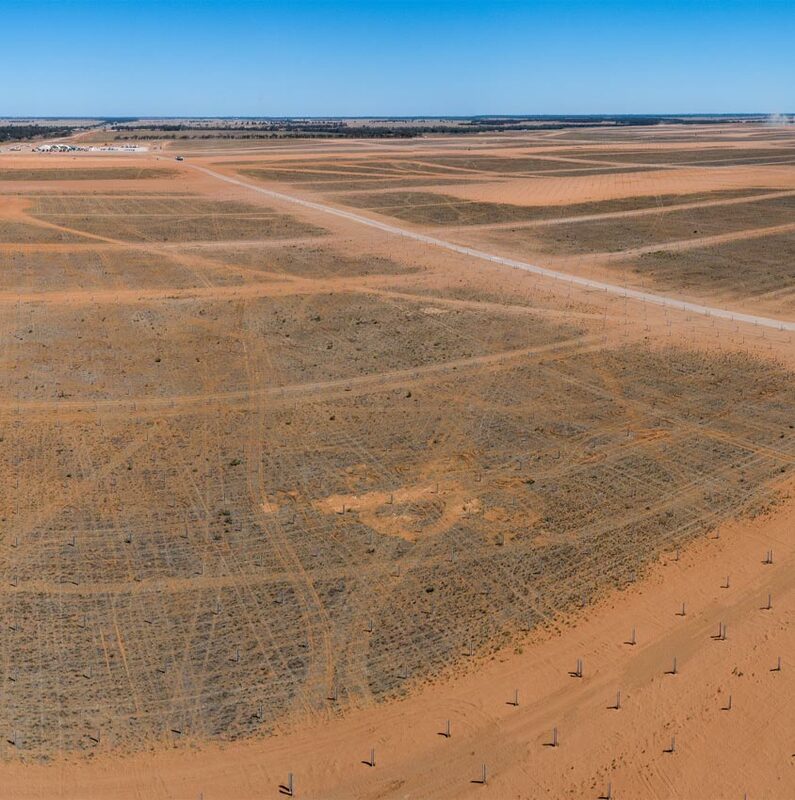 Scheduled for completion in December 2019, Sunraysia Solar Farm is a utility-scale solar photovoltaic (PV) farm near Balranald in southern New South Wales. Our commitment to a brighter future. The solar farm generates approximately 255MWDC of electricity, which is enough to power more than 50,000 homes. It is design and built by Decmil - one of the best solar PV construction companies. 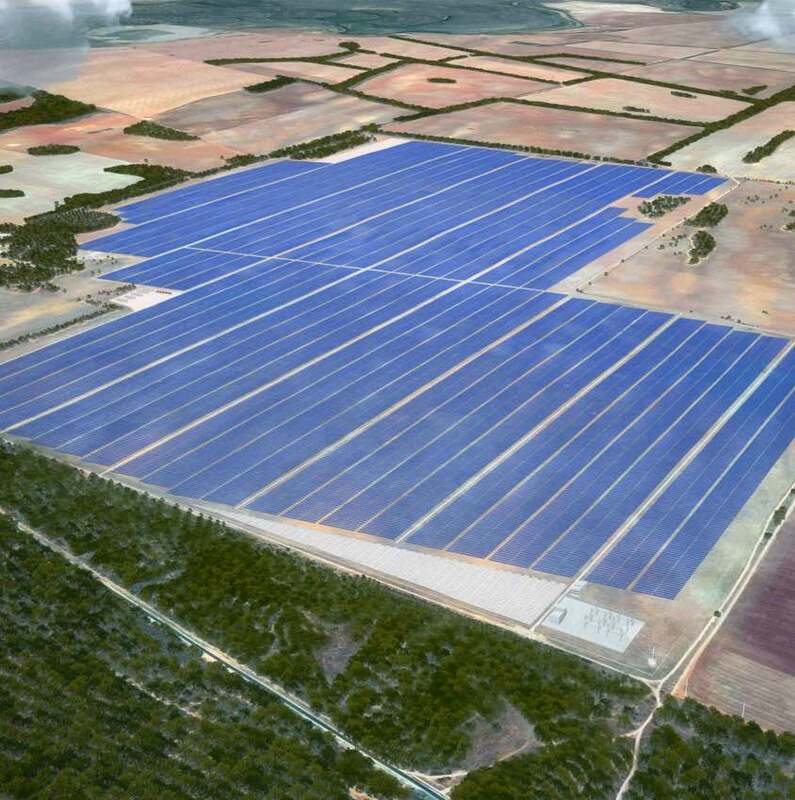 Sunraysia Solar Farm Pty Ltd involves the development of a utility scale solar photovoltaic (PV) farm near Balranald in southern New South Wales; the Sunraysia Solar Farm will have a total capacity of 255MWp which shall be completed in 1 stage. Provision of embedded electricity generation, to supply into the Australian grid closer to the main consumption centres. 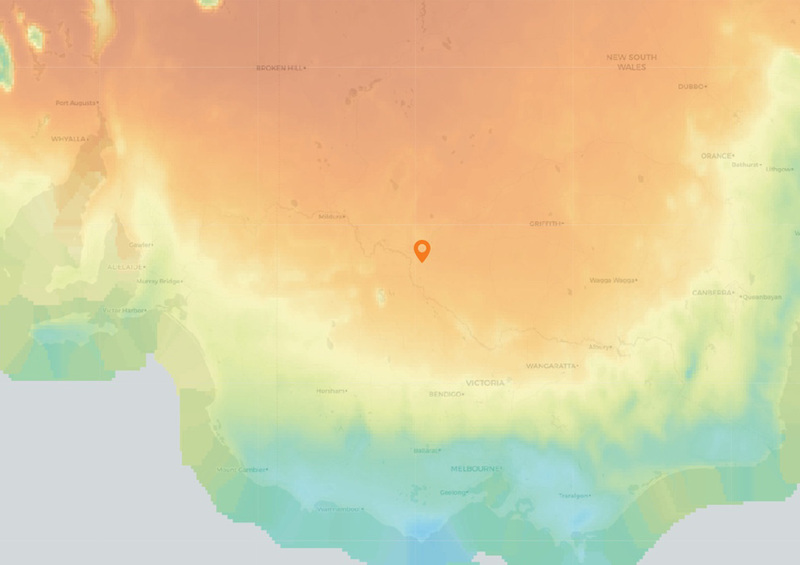 The Balranald Solar Farm proposal site is located around 17km south of the Balranald town centre and around 140km south east of Mildura, within the Balranald Shire Council Local Government Area (LGA). The site is accessed from Yanga Way (also known as Mallee Highway and Tooleybuc-Balranald Road) located to the east. Given the capital cost of the project, its development application will be assessed by the NSW Department of Planning. 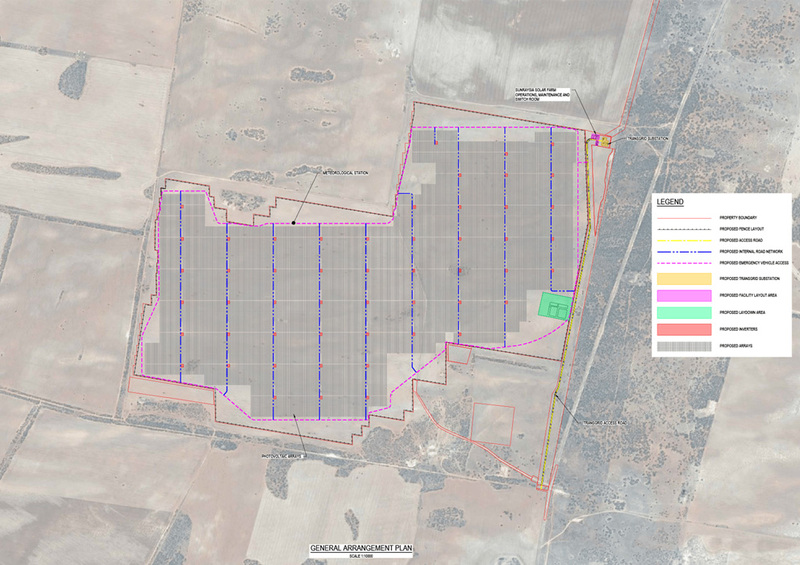 In this context, a Scoping Report for the Sunraysia Solar Farm has been lodged with the state planning in May 2016. 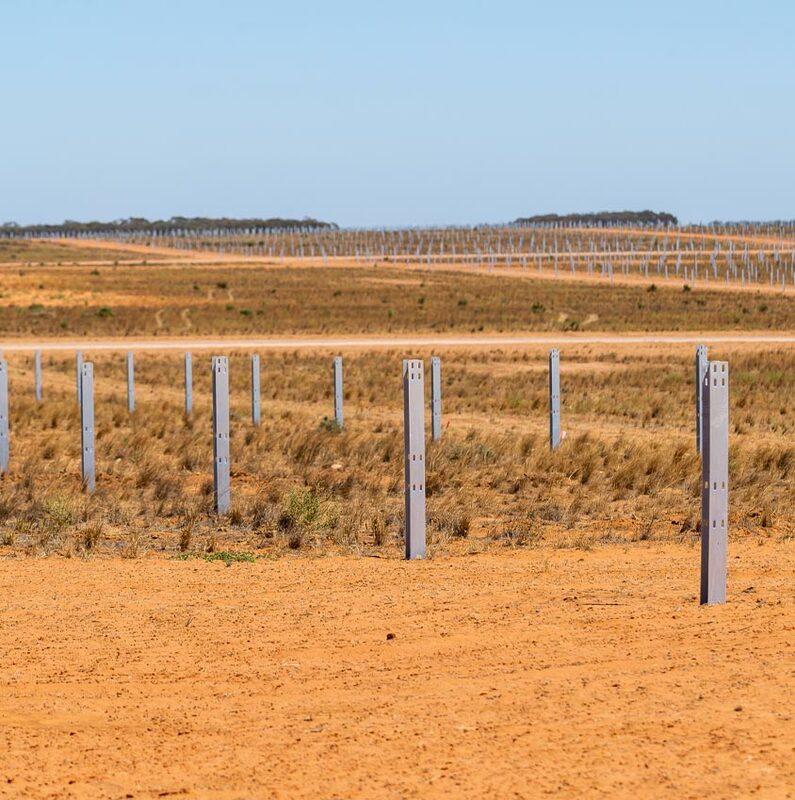 These requirements are now being used as a basis for the current Environmental Impact Assessment undertaken by Sunraysia Solar Farm Two Pty Ltd. 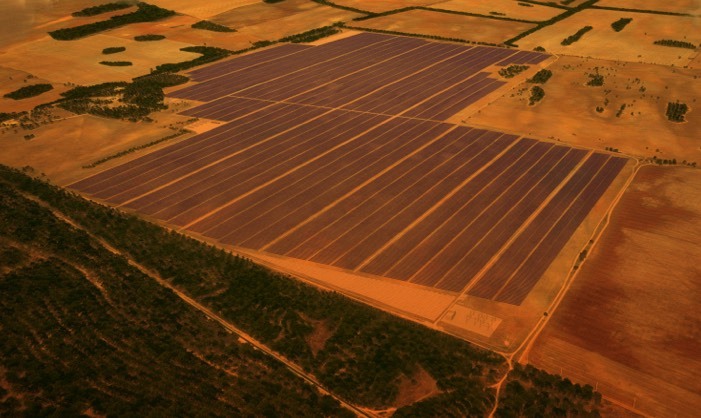 The Sunraysia Solar Farm site comprises of around 1000 hectares of private freehold land. Below is a preliminary layout based on the technical assessment and consultation undertaken to date. This preliminary layout provides for up to 200 megawatts peak AC (MWp) of solar panels; however, it may be amended to reflect the results of on-going technical assessments and discussions with the local community and regulators. Engagement with the local community is a critical objective of Maoneng and is integral to this project. We would like to ensure that open dialogue and information transfer can occur with local residents, stakeholders and the wider community in an easy and efficient manner. This report identifies and assesses the environmental issues associated with the construction, operation, upgrade and decommissioning of the proposed project. John Laing is an international originator, active investor and manager of infrastructure projects. John Laing business is focused on major transport, social and environmental infrastructure projects awarded under governmental public-private partnership (PPP) programmes, and renewable energy projects, across a range of international markets including the UK, Europe, Asia Pacific and North America. 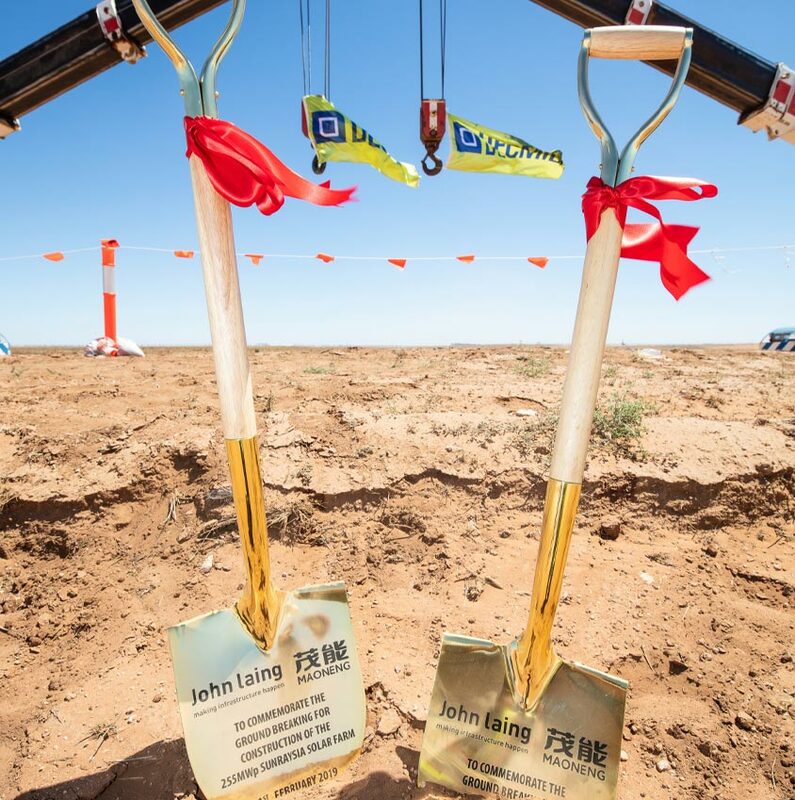 John Laing is one of the world’s most trusted brands in the field of infrastructure thanks to its expertise and credentials, with more than 100 projects in the last 30 years. We’re committed to promote a solar future. 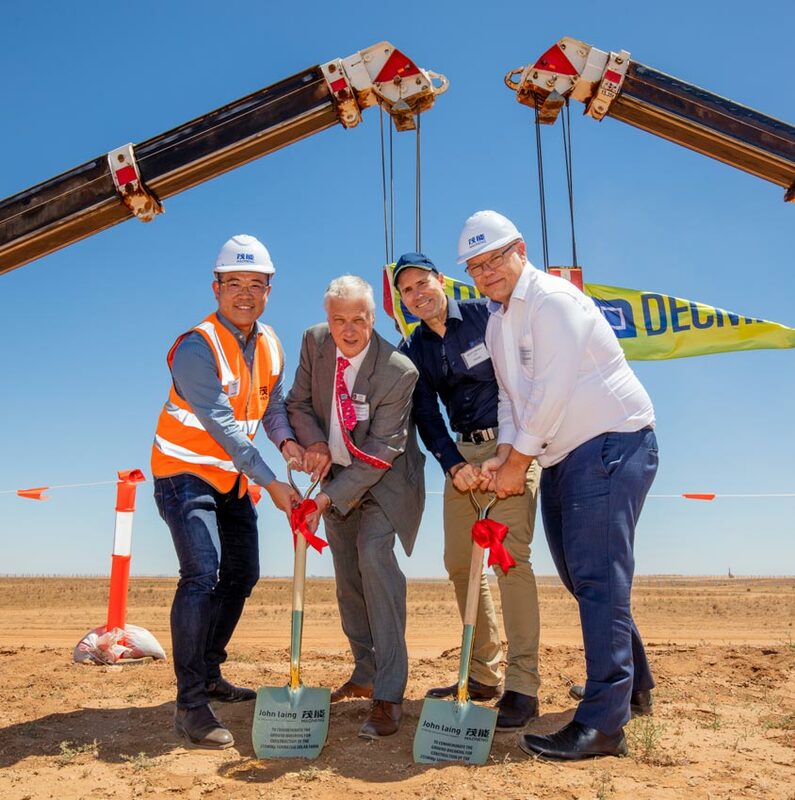 MAONENG Australia is proud to be the developer of this major renewable energy project, set to be one of Australia’s largest utility scale Solar PV power plant. MAONENG is an Australian Chinese Group with the core business of being a developer, long term owner and operator of quality Solar PV assets, critical for powering a sustainable world. Having a strong track record for financing, developing and delivering solar energy projects in Australia, we have worked with strong partners such as Fortune 500 company AVIC International Holding Corporation. Being a developer, owner and operator of the renewable energy generation, the leadership team have delivered over 100MW of solar energy solutions. MAONENG’s development pipeline comprises of approximately 2000 MW of utility & industrial scale solar energy projects across the APAC region. Partners helping us to make it happen.